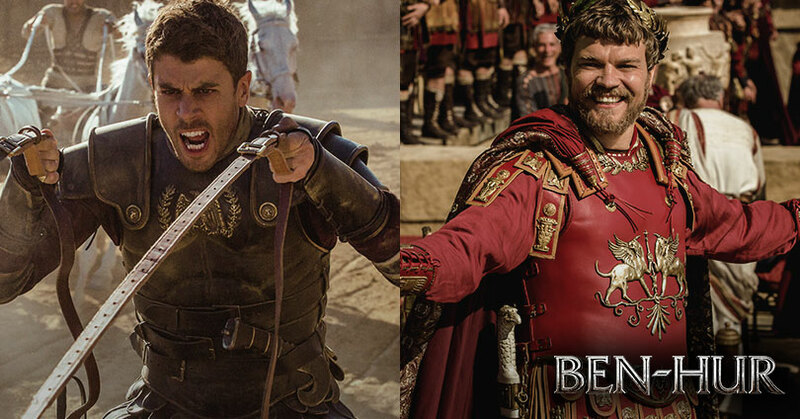 When it comes to Ben-Hur, there are no bigger sandals to file than Judah Ben-Hur and Messala Severus. Charlton Heston and Stephen Boyd won Oscars for their roles in Ben-Hur and are an integral part of the film. Just as important is Pontius Pilate because you absolutely cannot have a film chronicling the last days Jesus Christ without Pontius Pilate. So who are the actors brave enough to tackle these roles? Toby Kebbell (Fantastic Four) and Pilou Asbæk (HBO’s “Game of Thrones”), that’s who. Check back this week as we’ll have more interviews with the cast of Ben-Hur. BEN-HUR is the epic story of Judah Ben-Hur (Jack Huston), a prince falsely accused of treason by his adopted brother Messala (Toby Kebbell), an officer in the Roman army. Stripped of his title, separated from his family and the woman he loves (Nazanin Boniadi), Judah is forced into slavery. After years at sea, Judah returns to his homeland to seek revenge, but an encounter with Jesus (Rodrigo Santoro) leads him to the Crucifixion, where he discovers forgiveness and finds redemption. Ben-Hur races into theaters on August 19th.